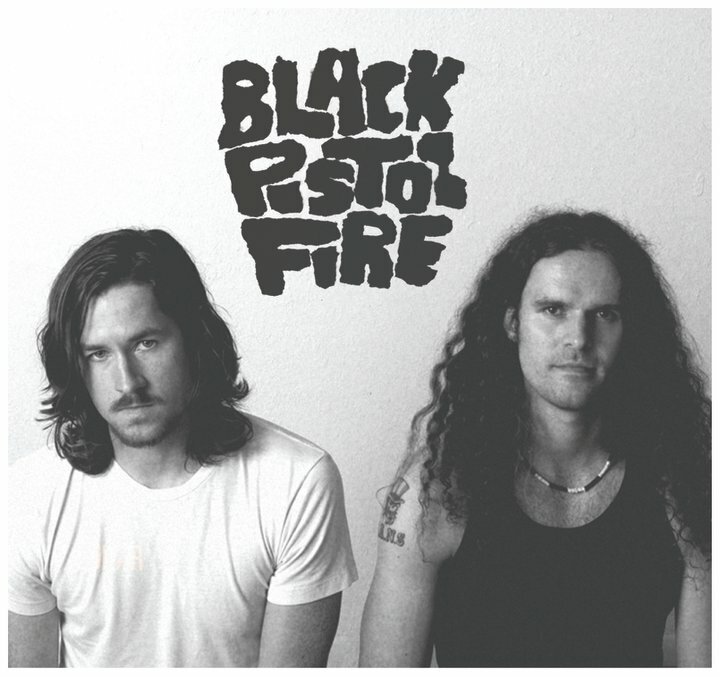 Today's New Band To Burn One To is Black Pistol Fire. Black Pistol Fire is a Rock and Roll duo originally from Toronto, Canada now based out of Austin, Texas. Their sound has been described as a mix of classic southern rock and garage punk. Comparisons span many sub-genres and eras. They are most often compared to early Kings of Leon, Creedence Clearwater Revival, The Black Keys, and Clutch. members of the Rock and Roll trio The Shenanigans. With The Shenanigans, they recorded an LP titled Bombshell Baby. After things with The Shenanigans and Toronto got stale, the two wanted a change of scenery and to try out something new. Austin, Texas seemed like the perfect place to go. They then packed up their instruments and a bag of clothes and headed south. In Austin, the two began rehearsing as a duo. They had previously done this to write songs for The Shenanigans, but knew that this time around there would be no bass added in after. They soaked up all that the Austin music scene had to offer which definitely gave their music a more “southern” sound. They lived in poverty eating a steady diet of potatoes while rehearsing, writing, and creating new material in a garage they had rented. While playing a local Austin hotspot, Producer Jim Diamond (The White Stripes, The Von Bondies, Jon Spencer Blues Explosion) approached the band about recording their next record. That album was recorded in 2 separate sessions, in an abandoned building in Detroit in about 20 hours. The album was recorded, mainly off the floor on to 2” tape. The filth from Detroit and the dust of Central Texas can all be heard on Black Pistol Fire’s debut LP which is slated for a February 2011 release. Black Pistol Fire plans on touring North America and Europe relentlessly this coming year playing clubs, festivals, saloons, colleges, and anywhere else unsuspecting music fans can have heads turned and asses kicked. For the live show is truly where Black Pistol Fire thrives. Watch out! You need to hear these guys. As of this writing, their debut album is due out on February 15th, 2011 through Rifle Bird Records. You can hear most of the songs on both their Facebook and Myspace pages.